A 21-year-old man was killed and a 14-year-old boy was critically wounded in a shooting in west suburban Melrose Park. 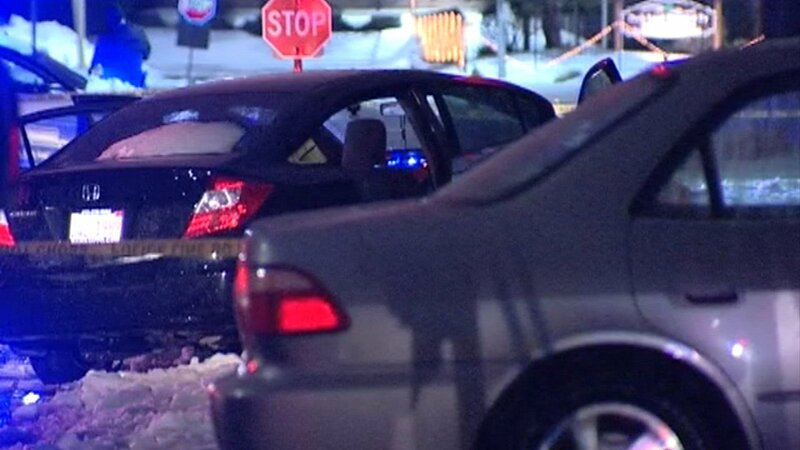 MELROSE PARK, Ill. (WLS) -- A man has been charged in connection with a shooting that killed one person and injured another in Melrose Park, police said. Police say Ellezer Torres, 22, allegedly fired at two victims seated in a vehicle in the 1100-block of 24th Avenue around 12:32 a.m. Tuesday. One victim died as a result of gunshot wounds; the other victim is in stable condition after being hospitalized with multiple gunshot wounds to the back. Police say the victims may have known the offender prior to the incident. A bond hearing has been set for Thursday at 9 a.m. in Maywood.